I have seen some clients losing their entire online businesses to unstructured and unreliable web hosting companies. This article reviews and brings you top 5 best web hosting companies of 2018 to help you make an informed choice in selecting which of them to go for. Through very meticulous research, studying some algorithm based on real life data, we have come up with this list of hosting companies. There are hundreds of web hosting companies and equally many different opinions on which is better. But in my analysis, i will bring you the top 5 best web hosting companies you need to consider while thinking of hosting your website based on careful review. After testing over 100 web hosting companies, I have streamlined my list to just 5 of them that I know I can rely strongly on . Do not get me wrong, others may also be doing well, but they may not be superb in terms of some testing parameters which you are about to see below. We have decided to rank these top 5 web hosting companies by the following 5 characteristic properties that matter the most to an average website owner. The question is does it really matter if a website speed is slow? The answer I can give you based on my long years of website consultancy experience is a capital YES. Website speed matters. Research shows that about 47% of website visitors expect website to load in seconds. So what if sites do not load faster? The answer is simple, the website becomes frustrating to visitors who will have no patience most times to hang around longer and before you say ‘JACK’, they are off and never to come again. Such website experiences very high bounce rates which is not good for its ranking and ultimately ecommerce business. There are several reasons why website could be slow, but hosting is one of the major causes. Therefore in terms of speed, we saw DreamHost topping the chart, followed by SiteGround, Godaddy while HostGator and Bluehost fall on the same score. To enjoy all the features and capabilities of your web host is not always straight forward and most times requires some form of technical support. It is essential for you to choose a web hosting company with excellent technical support team for many reasons especially when you are new or not so techy. A great support team ensures your business is not put down for a long time through their prompt and efficient responses to your queries. Such efficiency guaranty fast resolution of issues thereby giving your business higher percentage of uptime. What we also take into account apart from the speed of response from the support team is the quality of feedback . Therefore, when it comes to customer support, we realized from our findings that the clear winner here is SiteGround followed by Godaddy and then HostGator, BlueHost and DreamHost. Uptime refers to the percentage of time that your host service is working perfectly and serving up your website users. For obvious reasons, this a key index in determining the best web hosting company. For our testing we made use of pingdom to create accounts alongside other tools to carry out the verification exercise. I wasn’t disappointed much in terms of site uptime for most of the web hosting companies we tested. After 14 days of testing, HostGator, BlueHost, SiteGround and DreamHost were all up throughout the 14 days, while Godaddy went down for a few minutes and returned thereafter. So based on uptime, most of these 5 web hosting companies were found to be up and running 100% during the time of our investigation. Although ideally, a test of these nature is to be carried out for several months or even a year to really determine which web hosting company has the highest uptime. Because the 14 days was just to give a rough idea of how it may likely look for a longer duration. Your web hosting company plays a critical role in the overall success of your website, hence it will not be proper for me to say your main factor for selecting a hosting company should be pricing. However, web hosting is fairly expensive nobody wants to pay more than they have to. What is also key is the value of service. Here I have reviewed briefly the pricing structure of these 5 hosting companies to help you have an idea of which one will be fairly okay for you considering you have seen some of their service values. In doing that, I put into consideration the idea of Shared, VPS and Dedicated plans. For sharing, you share bandwidth with one or more other tenants or users in the pool. In this situation you have no total control of the bandwidth which could likely cause slower server response due to multiple users at a time. In terms of Virtual Private Server (VPS), you have your own space and entrance but still cant control what your neighbor does. On this plan, you have much more freedom than on the shared plan, however your server performance is still affected by your neighbour’s activities. Lastly, we have the Dedicated plan which is largely like having your own home. You can build it the way you want. In this plan you have full control over your server hosting section where server speed can be better. Generally, shared plans are often cheaper than dedicated plans. So in terms of pricing, Godaddy comes first especially if you are going for upfront of up to 36 months, followed by SiteGround, HostGator . 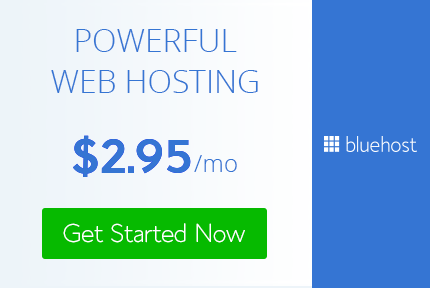 BlueHost and DreamHost. It is important to note that most of these discounted prices raise back to normal prices at subsequent renewal points. Similar to customer support, it is crucial to choose web hosting company with wide selection for help articles, videos along with active community to help share knowledge across different platforms. Such platforms may include youtube channels, online forums and help articles. This part of the article x-rayed hosting companies with high capacity for such platforms. So we got winners in this order: HostGator, DreamHost, Godaddy, BlueHost and SiteGround. In the whole, we sincerely believe this write-up will act as a guide to some extent help make an informed choice of the best web hosting company to suit our hosting needs. You could drop us a comment in our comment box for inputs, questions or reactions.